Soraya Ahyaudin is a second year Master of Public Diplomacy graduate student at USC, previously earning a BComm in Journalism from MARA University of Technology, Malaysia and a MComm in Science and Environmental Journalism from Universiti Sains Malaysia. She has worked as an Assistant Registrar at Universiti Sains Malaysia and as an Assistant Director with the Public Service Department of Malaysia before moving to Los Angeles, CA. She previously interned at the Muslim Public Affairs Council as a Communications Intern, USC Center on Communication Leadership and Policy as a Research Associate on Human Trafficking. Soraya is currently working at the USC Center on Public Diplomacy as an Events and Programming Assistant, is West Coast Regional Director for Coming of Faith, a unique project compiling coming of age and faith stories by Muslim college women and young professionals, and is a co-founder of ideaLA, an initiative that helps cultivate and empower minority entrepreneurs. Soraya is the recipient of the Islamic Scholarship Fund and is an alum of the American Muslim Civic Leadership Institute. During her time in Indonesia Soraya will be researching educational exchanges within ASEAN (Association of Southeast Asian Network) and how these exchanges may contribute to the building of both Indonesia’s identity as well as regional identity created through this network. Follow Soraya on Twitter @soraya_aydin. Nashwah Akhtar is a second year Master of Public Diplomacy graduate student at USC, born and raised in California to a Pakistani family. With her studies, she plans to pursue public service and human rights work, with the hopes of becoming a professor of world religions. Nashwah is an English Language Instructor, and is involved with student activism efforts to connect the USC campus to international causes. Nashwah would also like to further her studies in religion and advance her language skills in Arabic, Urdu, and Spanish. In her free time, she enjoys painting, practicing calligraphy, and exploring foods from around the globe. During her time in Indonesia Nashwah will evaluate faith diplomacy and the religious landscape of the country, specifically the protection of religious minorities. Follow Nashwah on Twitter @nashwahakhtar. Caitlin Dobson is a second year Master of Public Diplomacy graduate student at USC with a professional background in luxury tourism and an interest in cultural diplomacy, exchange diplomacy, and nonprofit advocacy centered on human rights. Caitlin earned degrees in cultural anthropology and journalism from Michigan State University, where she studied abroad four times and led the Alternative Spring Break volunteer travel program. To date, Caitlin’s passion for international exchange and philanthropic travel has led her to 40 countries on six continents. She speaks Spanish and is currently learning Portuguese and Arabic. Since joining the program Caitlin has volunteered through the USC Alternative Winter Break program to India, led a delegation of MPD student ambassadors to network in Washington D.C., and joined a cohort of second year MPD students to Sao Paulo, Brazil, where she researched exchange diplomacy. She interned with Human Rights Watch Los Angeles and spent the summer interning through the Annenberg International Program in Cape Town, South Africa with PASSOP (People Against Suffering, Oppression, and Poverty). She interned with the USC Center on Public Diplomacy and is currently a strategic communications intern with the USC Shoah Foundation. During her time in Indonesia Caitlin will assess how both the Indonesian Government and United States Government are utilizing local, on-the-ground NGO partnerships in their public diplomacy efforts. Follow Caitlin on Twitter @caitjoydobson and at www.caitlinjoydobson.com. Rebecca Heyliger is a second year Master of Public Diplomacy graduate student at USC and a native of Bermuda. She earned her undergraduate degree at USC, majoring in International Relations Global Business. As a D1 athlete and Co-captain of the USC swim team, as well as a member of the Bermuda National Swim team, she has been lucky to travel and compete throughout the world. Rebecca’s extensive experience abroad has inspired her choice of studies and decision to continue on within the field of public diplomacy. In the past she has worked for UAPAD (United Against Poverty and Disease), as well as a social networking start-up. Her current research interests include the role Competition plays in Public Diplomacy as well as the role Trade and Cultural components can play. During her time in Indonesia Rebecca will research Indonesia as an emerging power, and how it engages with super powers such as Great Britain and the United States to improve its world standing. Michele Johnsen is a second year Master of Public Diplomacy graduate student at USC and a professional strategic communicator with more than 20 years of experience in cause-related communications and public relations. Her interest is in developing and leading strategic international programs that advocate for global human rights policies, as well as inclusion of underrepresented populations. Michele’s international human rights experience includes living among indigenous people in the Urabá region of Colombia and presenting to officials at the United States Embassy in Bogotá on subjects of indigenous land rights and security. She has also provided media interview training and coaching to leaders of international human rights organizations. During her time in Indonesia Michele will analyze current public diplomacy efforts in relation to human rights and how Indonesia may collaborate with other countries to share practices and strategies. Follow Michele on Twitter @MicheleJPR. Maria Camila Portela is a second year Master of Public Diplomacy graduate student at USC, born and raised in Bogota, Colombia. 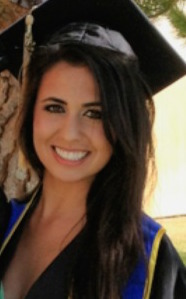 Maria Camila received her Bachelor of Arts in Advertising and Public Relations from Pepperdine University with a minor in Marketing. She is currently a PD News Contributing Researcher at CPD, and occupies the position of PD Magazine’s Senior Marketing Editor, a Masters of Public Diplomacy student run publication. Her interests in the program include digital diplomacy, the role of non-state actors in public diplomacy, and corporate social responsibility. Her professional experience includes working as Social Media Coordinator at Conill Advertising, as well as internships with BLITZ Agency, Tyler Barnnett PR, Fox, and Toro Publicidad. During her time in Indonesia Maria will focus on digital diplomacy efforts being implemented by the U.S. Embassy in Jakarta through its @America cultural center, as well as Indonesia’s overall digital engagement efforts. Follow Maria on Twitter @camiportela. Danielle Saroyan is a second year Master of Public Diplomacy graduate student at USC interested in cultural diplomacy, exchange programs, and intercultural communications. She graduated from the University of San Francisco with an International Studies major, a Global Politics & Societies concentration, and French Studies, European Studies, and Legal Studies minors. She is currently the Assistant to the Dean of the Los Angeles Consular Corps (LACC) working as a communications and event coordinator for Consul Generals and Honorary Consul Generals in the Los Angeles area. Danielle spent last summer in Armenia working for the United Nations Department of Public Information and a previous summer working in the Czech Republic as a Cultural Ambassador, presenting information about the United States to Czech high school students. During her time in Indonesia Danielle is very interested in hearing more about both existing and anticipated cultural exchange programs, as well as how a nation may use intangible cultural diplomacy as a strategy in nation branding. Follow Danielle on Twitter @daniellesaroyan. Fatana Temory is a second year Master of Public Diplomacy graduate student at USC and a first-generation Afghan American. Fatana received her BA in International Relations at the University of California Irvine with two minors in Conflict Resolution and Political Science. Fatana’s interest in the public diplomacy program focuses on Central Asia and the Middle East, specifically specializing in relations between the United States and Afghanistan. Fatana has recently returned from working at the Embassy of Afghanistan in Washington, D.C. and is currently the research assistant for U.S. Ambassador Cynthia Schneider, focusing on recent developments in media along with the impact of arts, music and culture in Afghanistan. During her time in Indonesia, Fatana will explore the cultural dimensions of Indonesia, as well as current U.S.-Indonesia relations. She hopes to analyze the nation’s views and opinions toward the U.S. and U.S. foreign policy, comparing her findings with current views of other Muslim majority countries, in an attempt to learn from and make recommendations on improving U.S. relations with not only Indonesia but in Central and South East Asia.